We help clients reveal hidden opportunities for growth and savings. 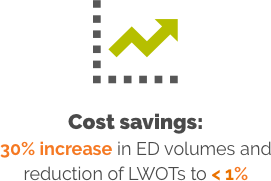 We realize that soaring hospital management costs are at the root of your daily challenges. 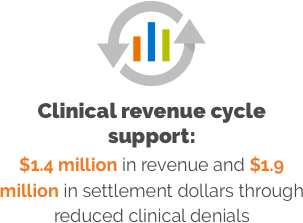 And while we can’t dramatically change the healthcare environment, we can implement revenue and cost improvement strategies to dramatically enhance your financial profile. From proven experience helping our clients to streamline processes and maximize throughput, to lowering your total physician management costs through increased productivity and stability in your provider teams, our team of experts can provide a wealth of support. 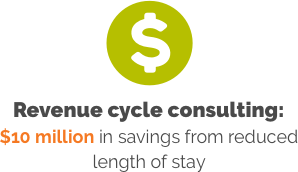 Your hospital’s specialties, operational structure, and physical plan can considerably impact your options for revenue growth and cost management. We work on financial enhancement strategies for a variety of hospital settings, including traditional acute care, Critical Access, academic, and safety net.